Non-surgical aesthetics has experienced a significant boom in popularity as technology and treatment options have evolved and improved. It is now possible to reduce wrinkles, lift sagging facial skin, brighten complexions and correct sun damage, tighten skin on necks and chests, reduce upper lip lines, and even reduce unwanted body fat with virtually painless, no down time customized procedures. These procedures are usually performed using no anesthesia, or at most, using topical numbing. Done correctly, results are elegantly subtle, and for some patients, lights out fantastic! Modern IPL (intense pulsed light) and lasers can gently fade or eliminate unwanted brown skin discoloration in a single 15 – minute treatment. 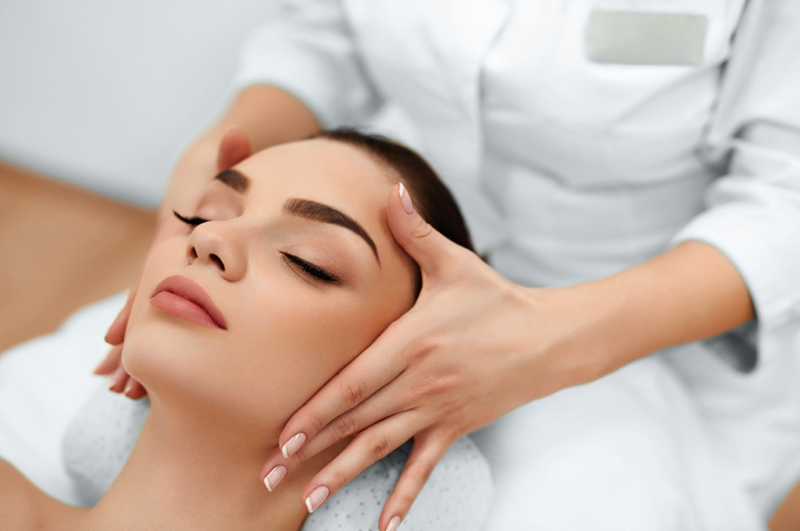 Practically everyone in Southern California has sun damage – there is almost no one whose skin (face, neck, chest) will not benefit from IPL treatments. Combined with a RF (radio-frequency) treatment, you can have reduction of facial and lip lines the same evening, and with additional treatments, significant long lasting improvement in texture starting only 2 weeks from the first session. Expertly placed synthetic injectable fillers (Voluma, Restylane, Juvederm, Belotero, Silk, Radiesse) can literally take 10 years of your look in 15 minutes, simply by re-supporting sagging skin and replenishing lost volume in the mid and low face. Combined with Botox or Xeomin injections, your scowl lines, forehead creases, and crow’s feet can be reversed within 3-5 days of a 15-minute session. Long lasting non-invasive skin tightening of the neck, face, décolletage, and even the knees, can be achieved with focused ultrasound (Ulthera) and/or radio-frequency treatments. A single session can tighten your jaw line, and firm mild to moderate skin laxity. True skin tightening technologies tend to be uncomfortable during the procedure – we frequently recommend a supervised medical cocktail to help you glide through the procedure, and an arranged ride home. Finally, permanent non-invasive fat reduction, known as non-surgical body contouring, is now a reality. A single focused ultrasound (UltraShape) session can painlessly and effectively break the unwanted fat cells, giving meaningful results in as little as 2 weeks. 3 treatments over 4 weeks are frequently performed to produce the maximal possible results. CoolSculpting (fat freezing), SculpSure (fat lasering), and BodyFX (RF energy) are additional technologies that effectively reduce unwanted fat, typically at six week intervals for 2-3 sessions. All these technologies variably result in some degree of skin tightening; they can easily be combined with skin tighteners and smoothers like Velashape or InMode Firma. But which one works the best?! They have all been reviewed and approved by the FDA – by offering multiple modalities, we can customize treatments, always seeking the maximal desired results with the minimum of aggravation. There is no one clear winner for everybody. “Why so many choices – it’s so confusing?” The truth be known, there is not one simple choice that treats everything for everyone!!! Some people want maximum results from one session, and don’t mind a few days of resolution. Others don’t mind a series of biweekly or monthly visits as long as there is practically no recovery. “The results only last a year or so? !” 20 years ago, your choices were surgery, chemical peels, and lasers with major recovery – a lot has changed for the good. A new technique for facial fillers and accompanying rejuvenation (i.e., younger looking skin) that I really like is ALMI, short for autologous lipolyzed microcellular injections. Simply performed in an hour, we take a small amount (up to 3 -4 tablespoons) of extra fat from the hip or abdomen with local numbing only thru a tiny tube. We process the fat through a series of filters, removing the older larger fat cells that “wouldn’t take” anyways. By re-injecting the resulting slurry of tiny fat cells, stem cells, growth factors, and concentrated platelets (PRP), there is an excellent chance of enhanced results for 3-5 years or longer. It is typically used in the face, and is very effective to improve hands, deep neck lines, even inner breast curvature. Combining this treatment with a fractional CO2 laser, the results on the face neck and chest are time traveling, and the resolution only a few days instead of multiple weeks. There are lots of subjects to cover – over the next few months, I will address many topics of non-surgical treatments. If you are interested, or care to share info with a friend, please pass along our contact information. Questions are welcomed – I will answer as best I can. It’s great to learn about all of these skin treatments. I’ve heard a lot about radiofrequency, so it’s cool to learn that it’s great combined with IPL treatments. I want to get rid of the wrinkles on my face, so I’ll look more into this.